Mobile phone charger not only as the name suggests - loads phones, but also can help start your car. It's no joke, the following starter supports engines up to 2000cc. 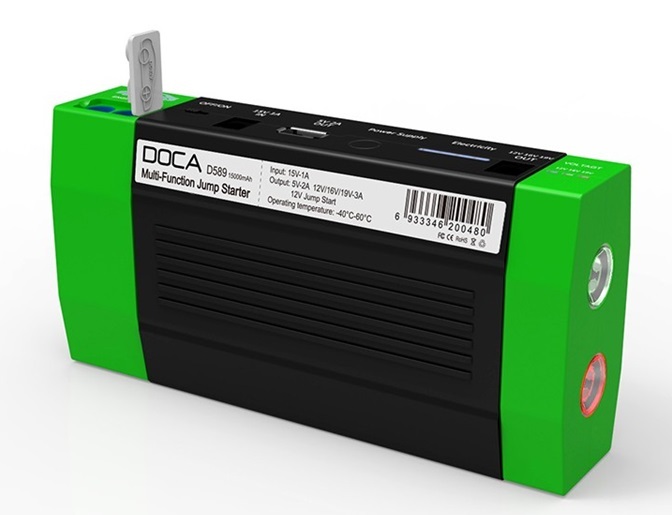 The DOCA D589 Starter is made with great care, is simple to operate and reliable. This energy bank can charge not only phones or tablets, but it can also charge or power your laptop. This device will really amaze you. The energy bank can help start the car, and the power bank weighs just a kilo! A few words about how to use the DOCA D589 starter. WARNING electrical equipment, so keep them away from children. The DOCA D589 Portable Charger can be charged with a network charger or, for example, a car cigarette lighter. Full loading DOCA primer takes about four hours. With a readable indicator (light emitting diodes) you can easily see how much energy is present in your device. Power bank can charge many electronic devices. The device is designed to charge the phone, but also with its use without problems can be charged tablets or can power the laptop. The large array of electronic devices that are powered by this mobile charger can distinguish mp3, mp4, mp5 and many others. The kit also includes a special cable, with multiple terminals, which allows you to load many different electronic devices. If your device you own has a different input than our set, just use your own cable (the condition is to have a USB connector). 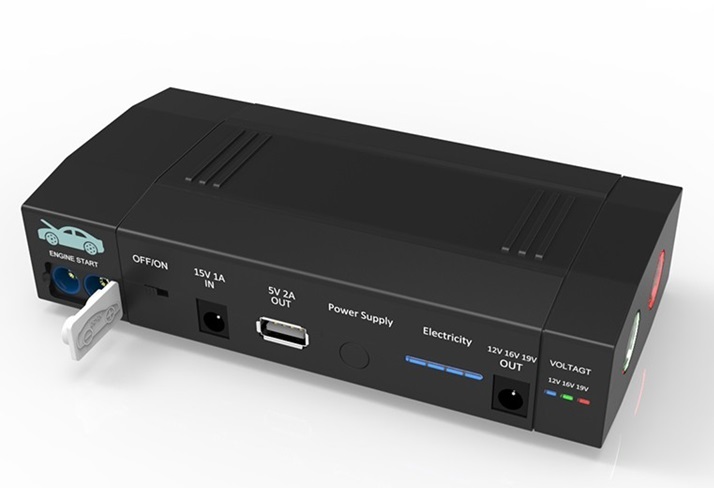 Powerbank is used to assist in starting the car, using special cables included in the kit. The kit also includes tips to help you power your laptop. If you want a multifunction device that can charge your phones, tablets, and also power your laptops. In this case, choose the DOCA D589, this great device is solidly built, and can also help start the engine. What do you know that you need to add distilled water to some car batteries? Note, these trivia are not always related to the product sold above. Check it out.